"A legacy of Sisterhood & Service"
Beta Omega Chapter was chartered on October 20, 1920 by the 2nd International President Lorraine Richardson Green at the Paseo Branch of the YWCA in Kansas City, MO. The charter members were Gladys C. Anderson, Doris R. Novel, Judith A. Syms, Irma G. Frazier, Anne E. Jackson, Mary F. Clifford, Ethel Mowbray, Laura Pyles, Mary Miller, Grace M. Hill, and Beulah Burke. 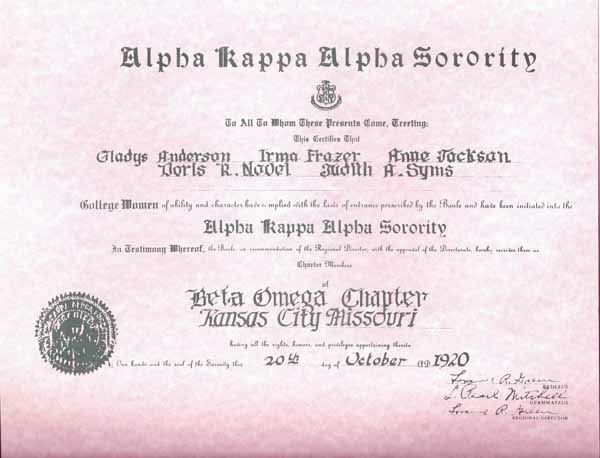 The chapter was originally named Lambda Graduate Chapter and changed to Beta Omega in 1922 when Alpha Kappa Alpha realigned all chapter names to correspond with the order of the Greek alphabet. In 1922 the 5th Boule was hosted by Beta Omega Chapter. The Boule was held December 27-30, 1922 at Lincoln High School in Kansas City, MO. The headquarters was at Hotel Street. Beulah Burke was the Chapter President; Lorraine Green was the International President. It was at this Boule that Blanche Patterson was elected Organizer (Regional Director). Gladys Pullum, President and Judith Syms attended the 8th Boule in Washington, D.C. in 1925. Pullum was elected National Corresponding Secretary and Syms was elected Regional Director. The name was changed from Organizer to Regional Director at this Boule. Beulah Burke was also the 2nd Vice-President for the sorority. The first Tri-Convention was held in Kansas City, MO, December 27-30, 1940. It was hosted by Beta Omega and Mu Omega (Kansas City, KS) Chapters in conjunction with the Alpha Phi Alpha and the Kappa Alpha Psi Fraternities. Trussie Smothers was President, Rosetta Nolan Webb, Regional Director and Dorothy Boulding Ferebee, International President. Housing for the Tri-Convention according to Gertrude Bardwell, (Beta Omega member), "Was secured in the homes of local residents. The rates were one person in the room $1.00; two persons, $.75 per person per day. Registration fee was $.50 and the banquet fee was $1.50. Housing for the International President and other officers was secured in the homes of prominent Negroes in the city. Suitable escorts had to be found for those members attending the dances and parties." The Tri-Convention proved to be so successful that ten years later, December 1950, the second Tri-Convention was held in Kansas City, MO. Kansas City became known as "the place to go to Boules." 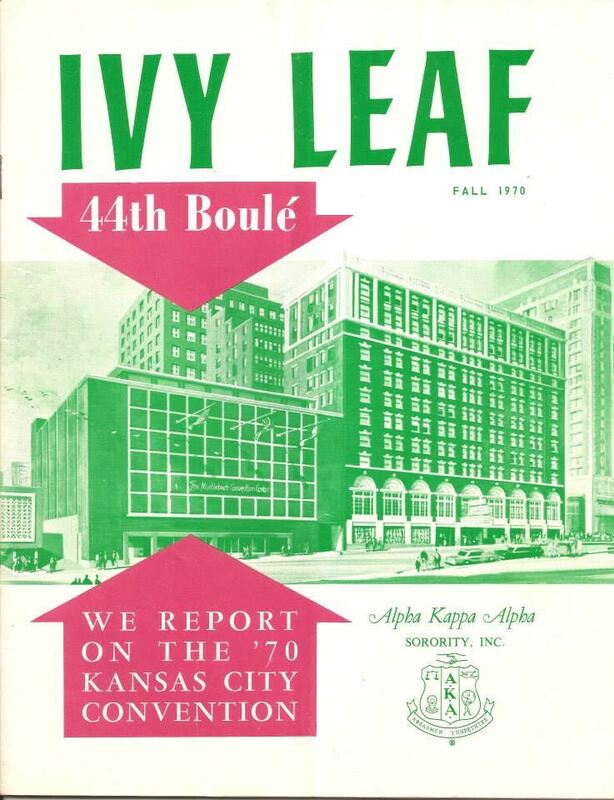 The 44th Boule was held in Kansas City in August 1970. The Muehlebach Hotel was the host hotel. It had been booked ten years ahead by the Directorate to house all delegates and social activities for the week. 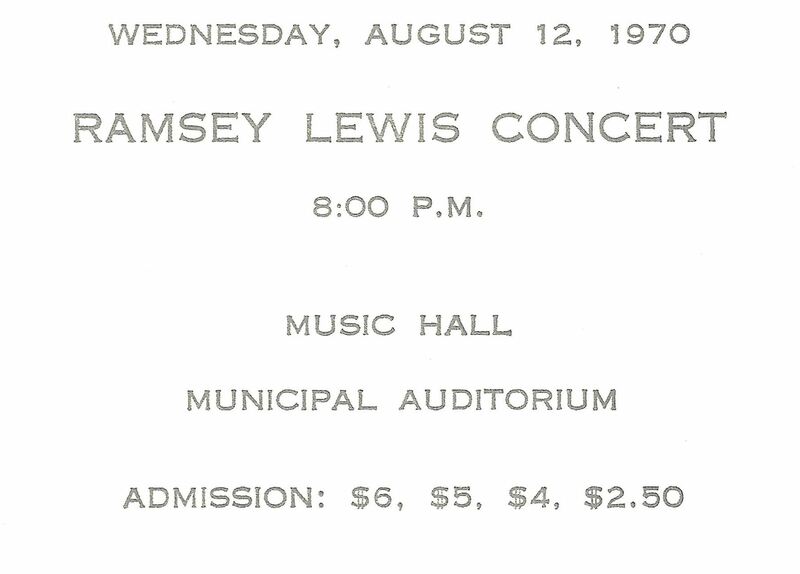 The Public Meeting and the "Night with Ramsey Lewis" were held in the Music Hall of the Municipal Auditorium. Dorothy Newman was President, Jewell F. Neal, Regional Director and Mattelia Grays, International President. This Boule was hosted by Beta Omega. Beta Omega has hosted a number of Regional Conferences. The 66th Regional Conference held March 14-17, 1996; the theme was, "Successful Strategies for Building the Future." This Conference was under the leadership of Vivian Bassa, President, Alberta G. Jones, Regional Director and Eva Evans, International President. The Conference was co-hosted by Beta Omega's undergraduate chapters - Rho Iota and Rho Alpha. It was the 68th Mid-Western Regional Conference in 1998, Beta Omega came away as an award winning chapter. It was there that Laura Holland was selected, "Outstanding Golden Member." The Alberta G. Jones Award; an EAF "3 Rockets to Mercury" award for 100% membership and contributions were also won. In 2004 the Mid-Western Region embraced the concept of , "Cluster hosted Regional Conferences." Beta Omega became a part of Cluster B, which comprised Missouri and Nebraska chapters. The 74th Mid-Western Regional Conference was the first regional conference hosted by a cluster-Cluster B. It was held on March 25-28, 2004 at the Lake of Ozarks in Osage Beach, MO. Helen Harrington was President, Betty Davis-Gause was Regional Director, and Linda M. White was International President. Cluster B hosted the 79th Mid-Western Regional Conference held March 26-29, 2009 in Omaha, NE. Susan Smith, President; Vicki Miles-LaGrange, Regional Director, and Barbara A. McKinzie, International President. Most recently, Cluster B once again hosted the 84th Mid-Western Regional Conference held March 20-23, 2014 in Kansas City, MO. Carla Gunner, President; Maggie W. Green, Regional Director, and Carolyn House Stewart, International President. Beta Omega members have served as national and regional officers. They include Member Gladys Ervin, International Corresponding Secretary, International Recording Secretary; Blanche Patterson, Organizer (Regional Director); Lucile Bluford, Director of Publicity; Trussie Smothers, International Corresponding Secretary; Rosetta Nolan Webb, Regional Director, International Parliamentarian, International 2nd Vice-President; Dorothy H. Johnson, Editor-In-Chief of the Ivy Leaf Magazine; Judith Syms, Regional director; Eunice B. Johnson, member of the Nominating Committee; Theresa Barker, Regional Director; Delorise Gines, Regional Director; Jewell Neal, Regional Director; Margaret Evans, Regional Human Resources Committee, Regional Heritage Chairman; Carla Fields, Regional Undergrad/Grad Relations Committee Chair; Tamara Sykes, Regional Membership Chairman; Peggy Moore, Missouri Mid-Western AKA Connection Coordinator. Beta Omega Chapter sponsors two undergraduate chapters - Rho Alpha (University of Missouri-Kansas City) and Rho Iota (Missouri Western University). When Rho Iota was chartered in 1994, there were thirteen members, Ozanna Obasi and Tia Alexander were Grad Advisors; Mary Francis, President ; Alberta G. Jones, Regional Director. For a number of years Beta Omega's meetings were held in the homes of its members on various Saturdays. Three members prepared the meals. Non-cooks were placed with good cooks and non-cooks were responsible for all the non-cooking activities. As the sorority grew, the arrangement became a laborious chore and the arrangement was discontinued. This was before World War II. After the war ended, the economy improved and the services of caterers began. By 1939 the meeting date was set for the 3rd Saturday at 1:00 p.m. The meetings were held at 2432 Park Avenue in the home of Mrs. Osborne. She was a caterer and not a member of the sorority. By 1940 Mrs. Osborn had moved to a larger house and the members of the chapter moved with her. The cost of the meal was $.75 per month. Later Jimmie Marie Thomas and Ruth Young catered the meetings. A Culinary Committee was put in place in 2005. Presently, there are no meals served at the monthly meetings. As the chapter's membership grew, monthly meetings were held at a number of locations: public libraries, churches, clubhouses, university centers. According to one member, "You had to put a meeting location on the refrigerator to know where to go each month." In 1996 Beta Omega began holding monthly meetings at Swope Health Center. Presently, Beta Omega meetings are held at Truman Medical Center. In the early years, it was not easy to gain membership into Beta Omega. Candidates were voted on. If a candidate had two negative votes, she was not accepted. The cost depended on the type of pin that you purchased. The pins were plain, half pearl or whole pearl. The half pearl cost $7.50 and the guard was an additional $5.00. Annual dues were $10.00 and a minimal amount was paid to National. There were no meetings during the summer. This is also true to this date. There were no Step Shows and no pink and green attire. However, gloves, hats, and hosiery were worn to all sorority functions. In 1951, Mildred Aulthouse (a member of Beta Omega) and Lillian Orme (a member of Mu Omega) initiated the Debutante Ball. Initially its purpose was to raise funds to help support the sorority's Delta House in Lawrence, Kansas. The sorority maintained Delta House until open housing laws were passed. The first Ball, in 1951 was held at the American Legion Hall located at Linwood Blvd. and Paseo in Kansas City, MO. Since the beginning of the Ball, it has been held the Friday night after Thanksgivings. Joanne Williamson, a member of Beta Omega Chapter was presented at the first Ball in 1951. During the 50th anniversary of the Ball, Joanne was in attendance and recognized. Until the early 1970's scholarships were not awarded. The young ladies were merely presented to society. The first young lady crowned, "Miss Debutante" was awarded $300.00. For more than thirty years Beta Omega and Mu Omega co-hosted the Debutante Ball. Beginning in 1983 the chapters have alternated hosting the Ball. Since its inception, the Debutante Ball has awarded thousands of dollars in scholarships, has made an impact upon the lives of hundreds of young ladies and is considered one of the major social events of the year. Since her inception, Beta Omega has supported the agenda of the International President's program theme and encompassed the thrusts of Economics, Education, the Black Family, and Health. The chapter makes financial contributions to various organizations throughout the Kansas City Metro Area. In 1993, the chapter began working with the St. James Place Soup Kitchen (39th & Troost; Kansas City, MO). To date, this is an ongoing community service project. Beta Omega is a Diamond Member of the National Association for the Advancement of Colored People (NAACP). On October 11, 1980, Beta Omega celebrated its 60th anniversary. Three of the original founders returned for the celebration: Irma Frazier Clark of Chicago, IL; Anne Jackson Hunter of Lexington, KY; Gladys Anderson Ervin of Los Angeles, CA. Also in attendance was Lorraine Green of Chicago, IL, who was National President when the chapter was chartered. An alumnae coffee and lunch was held at the Alameda Plaza Hotel-Kansas City, MO; a reception at Ridley's Fine Foods that evening. The next day's activity included a luncheon at the Central Exchange in Crown Center-Kansas City, MO. The chairman for the celebration was Jacqueline Pierson Tomlin. The President was Beverly Warrick Dickason. On October 22, 1995, the chapter celebrated its 75th anniversary. Attending was the last living charter member, Irma Frazier Clark. She was 95 years young. Also present was Lorraine Green. The celebration took place at, University of Missouri-Pierson Hall, Kansas City, MO. Greetings were delivered by Mary C. Francis, President and Alberta Jones, Mid-Western Regional Director. Kansas City's first African American Mayor, Mayor Emanuel Cleaver presented a proclamation from the city of Kansas City, MO. Eva Evans was International President. The chairman was Thelma Simmons. On January 21, 2001, Beta Omega celebrated its 80th anniversary. It was held at the Bruce R. Watkins Cultural Heritage Center-Kansas City, MO. Brenda Lewis Mumford, Mid-Western Regional Director, presented a proclamation from Norma S. White, International President, recognizing Beta Omega's contributions to Alpha Kappa Alpha sorority, Inc. Tia Alexander was President and Dr. Everlyn Williams, chairman. During the late 1920's scholarship aid was given to high school senior girls who made the highest score on a national test which was administered and scored by a committee of three members of the chapter. The Scholarship Loan Fund was established in the 1930's and continued throughout the 1940's. High school senior girls were granted loans by making application and being approved by the scholarship committee. The loans were to be paid back after graduation from college and the securing a job. Collection of these loans turned out to be quite a task, though a number of recipients paid without being reminded. 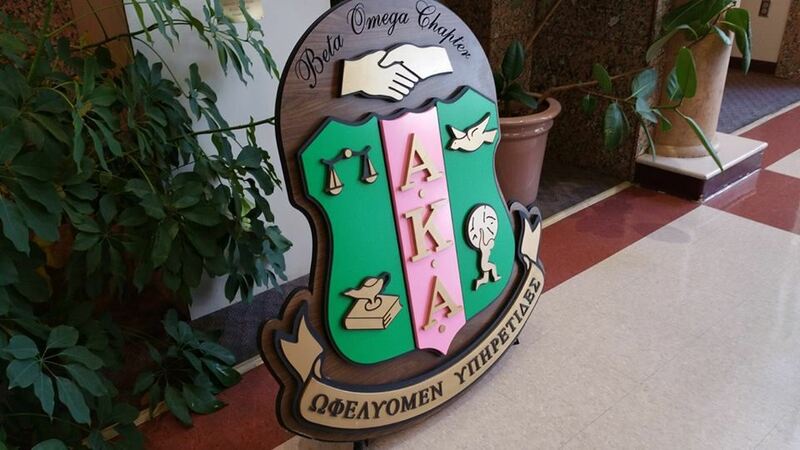 Beta Omega continue to award scholarships to high school seniors-female and male. The sorority also award scholarships to undergraduates. In 2005, Beta Omega awarded its first Freedom Scholarship. Additionally, the chapter offers the Dorothy Lillard Scholarship; the Alvaleta Guess Scholarship and the Corinthian G. Nutter Scholarship. These three women were members of Beta Omega who bequeathed funds to the chapter for scholarships. Thousands of dollars in scholarship aid has been given to an unknown number of recipients to date. When the Ebony Fashion Shows began, Beta Omega and Mu Omega were joint sponsors of the event. After a few years, Beta Omega decided to promote other fundraising events. Mu Omega continued to sponsor the annual event for many years and Beta Omega supported them. In the fall of 1978, Beta Omega brought the stage production of, "The Wiz," a highly acclaimed play to Kansas City. It was a very successful undertaking. On March 2, 2005, Beta Omega was launched onto the worldwide web with its website, www.akabetaomega.org. Throughout the years, Beta Omega has been a participant in and supporter of countless civic, educational, and cultural activities. The chapter holds membership in national organizations and several in Kansas City. The chapter has received countless awards and recognition for its high level of support and participation from civic, social and educational organizations. The chapter has also been honored on the Regional and National levels of Alpha Kappa Alpha sorority, Inc. Beta Omega Chapter, the second oldest graduate chapter continues to stand out while moving into the Centennial. It is our goal to retain and reclaim as many of our members as possible; to remember always that this great sorority had its beginning, first; as a great sisterhood; and to promote the sorority and its activities in a positive manner as we continue to be of, "Service to all Mankind." Beta Omega celebrated 90 years of scholarship, sisterhood and service, Sunday October 17, 2010 (official birthday is October 20). This wonderful celebration was held at the Bruce R. Watkins Cultural and Heritage Center; Kansas City, MO. In honor of our 90th anniversary, Beta Omega was recognized by the City of Kansas City, MO on October 14, 2010 with the presentation of Resolution #100876 by Mayor Mark Funkhouser. Sandy Jiles, President, Donna Nelms Chairman and Ramona Davis Co Chairman. During the 81st Mid-Western Regional Conference, Beta Omegas' first Diamond Member was recognized, Gertrude Bardwell. The Regional Conference was held March 16-20, 2011 at the Hyatt Regency Hotel, Wichita, KS. On April 16, 2011, Truman Medical Center, Kansas City, MO, Beta Omega held a reception in honor of Bardwell after the monthly chapter meeting. The affair was attended by guest of honor, Bardwell; Beta Omega members; family and friends of Bardwell. It was a day of remembrance and joy. On May 5, 2011, Beta Omegas' President Sandra Jiles presented Bardwell with her 75 year pin and certificate at her place of residency. In attendance were Bardwell's two sisters: Irene Marcus; Geneva Carple and Delorise Gines (19th Mid-Western Regional Director). During the 2012 Boule, held in San Francisco, CA July 21-27, 2012 a historical documentation of the work of members of Alpha Kappa Alpha sorority, Inc. who became advocates of civil rights, social justice, fair labor and equality in education was presented. The title of the exhibit was, "The Unsung Members of the Civil Rights Movement." The Archives Committee submitted two Beta Omega members to be featured in the exhibit: Corinthian Nutter and Lucile H. Bluford. Nutter was featured in the large pictorial exhibit located at the Moscone Convention Center. She was featured for her efforts in the 1940s to help desegregate Merriam, KS schools. Bluford was named on the large wall display, as well as featured in a continuous video. Beta Omega hosted the Founders' Day Celebration 2013. Alpha Kappa Alpha Sorority, Inc. celebrated 105 years on Saturday, February 23, 2013. This event was held at the Kansas City Marriott-Country Club Plaza; Kansas City, MO. The Founders' Day theme was, "Committed to Serve, Empowered to Lead." Everyone in attendance was mesmerized by the powerful message delivered by keynote speaker, sorority member Patricia Russell-McCloud. The theme of Patricia's message was, "LEAD, FOLLOW, OR GET OUT OF THE WAY!" Maggie Green, Mid-Western Regional Director was in attendance. Gina Mercer was President, Ramona Davis, Chairman and Lisa Ellington Harris was Co Chairman. 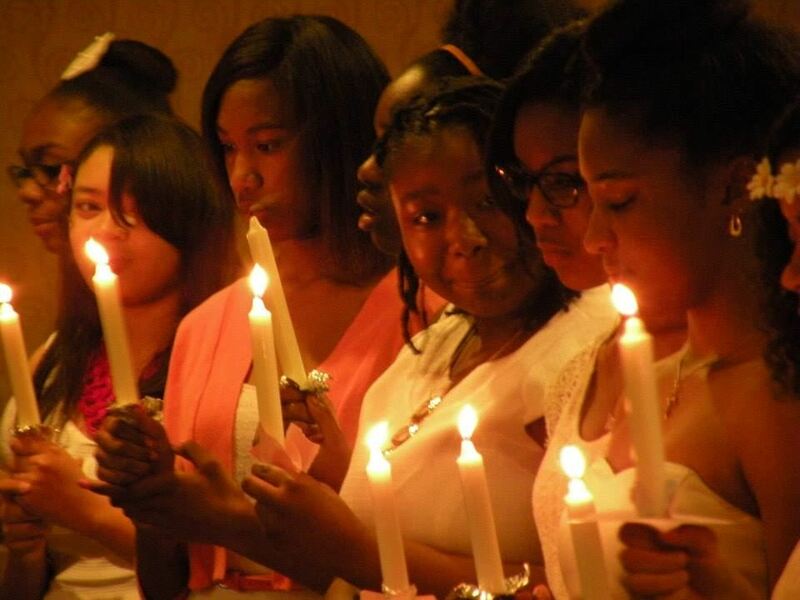 Beta Omega welcomed fifteen new sorority members, June 23, 2013. The final commitment ceremony was held at the Communications Workers of America Local 6450; Independence, MO. They were: Gina Addison; Ashley Black; Whitney Bynum; Tish Cooper; Melanie Evans; Charese Foreman; Chantell Garrett; Kathyrene Hayes; Teresa Johnson; Ora Kelsey; Twyla Lindsay; Crystal Lyles; Tiffany Mack; Elizabeth O'Neal; and Robin Wheeler. On October 11, 2013, Patricia Finch, Global Poverty Initiative Chairman and Chapter President, Gina Mercer presented a $5,000 gift to Heifer International Senior Executive, Corporate Partnership, Suzanne Munson, while 100 in attendance looked on. Beta Omega became the first and only graduate chapter to purchase a $5,000 Gift ark for Heifer International. Members of Beta Omega were joined by AKA International President, Attorney Carolyn House Stewart and Mid-Western Regional Director, Member Maggie Green. The reception was held at the Grand Street Cafe-Kansas City, MO. October 12, 2013, Beta Omega hosted the 2013 Cluster B & C meeting. The theme was, "Leadership: The Time Has Come!" The meeting was held at the Kansas City Marriott-Country Club Plaza, Kansas City, MO. Member Carolyn House Stewart, Esq. International President and Mid-Western Regional Director, Member Maggie Green were in attendance. Hope Miller was Cluster B Coordinator and Twyla Wood was Coordinator for Cluster C.
Beta Omega Chapter was able to reactivate Rho Iota Chapter; with four new members on Missouri Western University campus, St. Joseph, MO. The new members are: Jocelyn Jones; Erica Holliday; Lauren Patton; Makie Jamison. The final commitment ceremony was October 20, 2013. It took place at the Hilton Airport Hotel, Kansas City, MO. The Graduate was Lorin Comer. Beta Omega was saddened as two members became Ivies Beyond the Wall. On February 16, 2013, Helen Gertrude Bardwell, Beta Omegas' first Diamond member died. The funeral was Sunday, February 24, 2013 at the Bethel African Methodist Episcopal Church, Kansas City, MO. Dr. Dorothy Jeanne Berry Newman, Golden member, past President of Beta Omega died August 31, 2013. The funeral was Saturday, September 28, 2013 at Allen Chapel African Methodist Episcopal Church, Kansas City, MO. 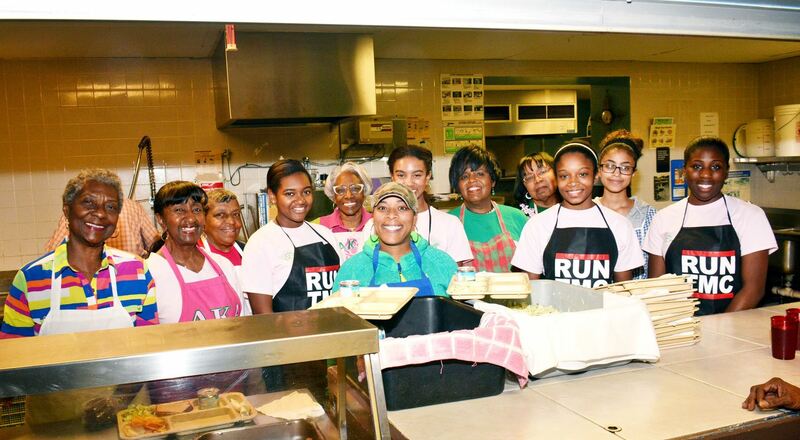 During the year 2013 The Ivy Community Service and Educational Foundation, Inc. (ICSEF) was organized to support the educational and charitable purposes of Beta Omega Chapter of Alpha Kappa Alpha sorority, Inc. The Foundation is a 501c3. During the 66th Boule, held in Charlotte, NC (July 12-18, 2014) Beta Omega wins the International Media Award. Beta Omega has achieved Gold Recognition for its contributions to the Educational Advancement Foundation (EAF). Also, during the 66th Boule, Dorothy Buckhanan Wilson was installed as the 29th International President of Alpha Kappa Alpha sorority, Inc. Wilson's 2014-2018 International Program focuses on, Launching New Dimensions of Service. On May 16, 2015 a Scholarship Reception was held at Truman Medical Center; Kansas City, MO. Six scholarships were awarded to six deserving high school seniors. Members who bequeathed funds, presently for scholarships are: Dorothy Newman; Helen G. Bardwell; Corinthian Nutter; Mildred Brown, Susan Smith and Mary Phillips. On October 18, 2015 Beta Omega celebrated it's 95th Birthday (official birthday is October 20). The celebration was held at Bruce R. Watkins Cultural and Heritage Center; Kansas City, MO. The theme was, "Still Standing Strong: In Service, Scholarship and Sisterhood." Those attending were the Mid-Western Regional Director, Jan Carpenter Baker and two presidents and one vice president from the other local chapters. Several highlights of the evening included: Honoring our new Diamond member and fourteen Golden members. Dr. Julia Hill (Beta Omega's 2nd Diamond Member) was presented her certificate and Diamond Pin by Beta Omega's President, Carla J. Gunner, Ed.S. Co Chairpersons were Pearlie Taylor and Veolette Maxey. Beta Omega knows that the bar has been set high by past members and there will be no lowering. So we are poised to make Beta Omega one of the greatest chapters of Alpha Kappa Alpha Sorority Inc. by STILL STANDING STRONG IN SERVICE; SCHOLARSHIP; AND SISTERHOOD.